CHICAGO (WLS) -- Who doesn't love free ice cream? Although it's cloudy and cool in Chicago, Tuesday is bound to be a good day for those who have time to stop at Ben and Jerry's. April 4 is Free Cone Day. Scoop Shops around the world will be giving away a scoop of complimentary ice cream from 12-8 p.m.
Ben and Jerry's said Free Cone Day is a chance for the company to say thank you to its customers and celebrate the community. "Our customers are incredibly loyal and share our values on important issues like marriage equality, climate change, and racial justice," Ben and Jerry's CEO Jostein Solheim said in a press release. "Through the power of ice cream, we are able to form strong connections and create positive social change together. Free Cone Day is one way we show our fans how much we appreciate them." 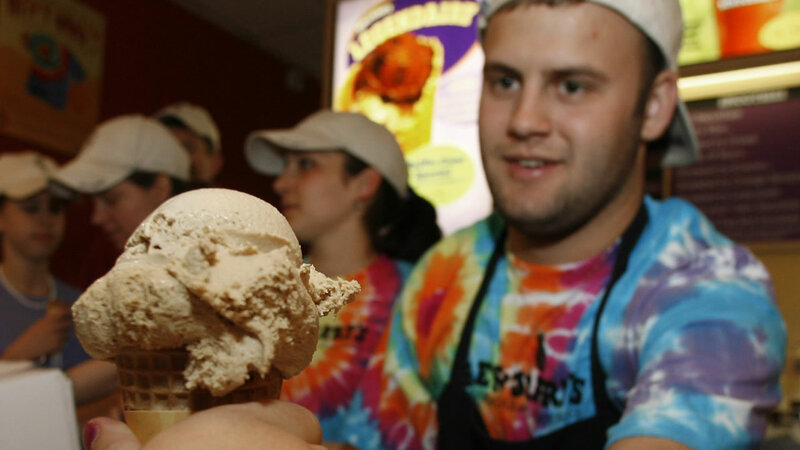 Ben and Jerry's also said many Scoop Shops often partner with local groups on Free Cone Day to raise awareness or funds for a specific cause. Getting free ice cream could also mean doing something good for the community this Tuesday. Not from Chicago? CLICK HERE to find a Scoop Shop near you. CLICK HERE to find out more about Free Cone Day.